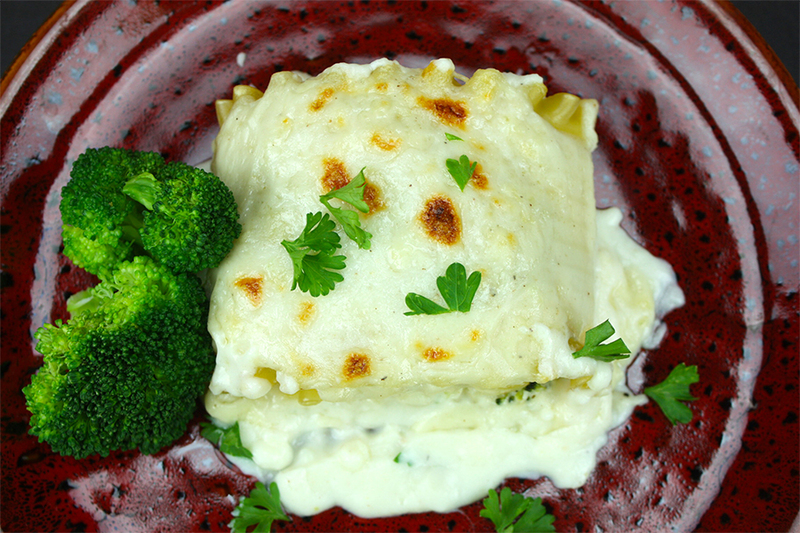 Broccoli alfredo lasagna roll-ups make the perfect meatless meal. 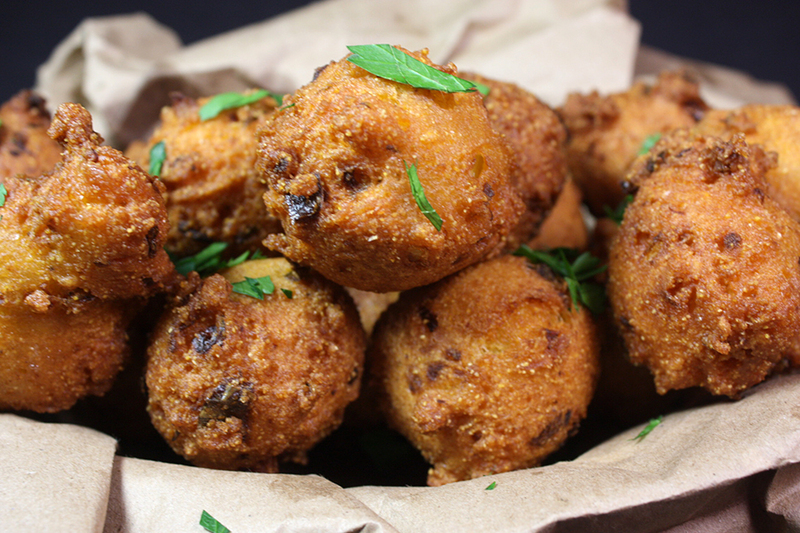 Easy to prepare and loaded with flavor. This meal received loads of praise in my house. 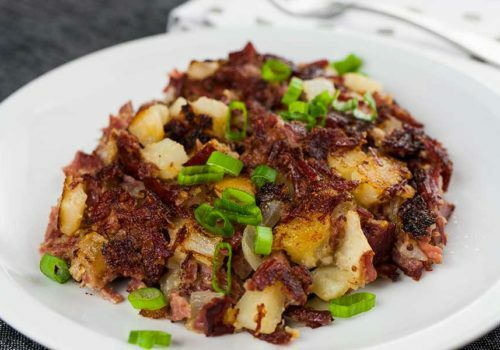 You can’t go wrong, even the meat lovers in your home will love this dish. Boil the lasagna noodles according to the package instructions, lay on paper towels to dry. Prepare the alfredo sauce. Steam the broccoli and chop into small pieces, set aside. Combine ricotta, broccoli, Italian seasoning, salt, and pepper. Lay noodles on a cutting board in a single layer. Spread 2 tablespoons of alfredo sauce on each noodle then spread another 2 tablespoons of the broccoli ricotta mixture on top of sauce. 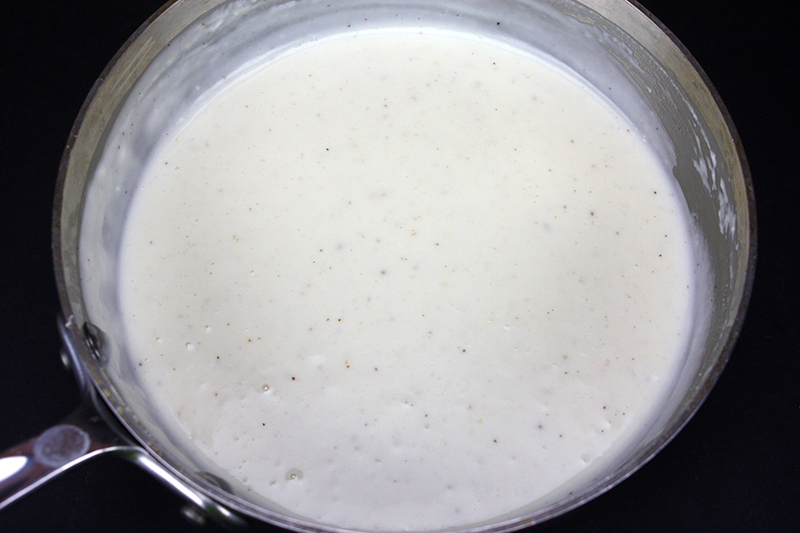 Spread a thin layer of alfredo sauce over the bottom of the pan. 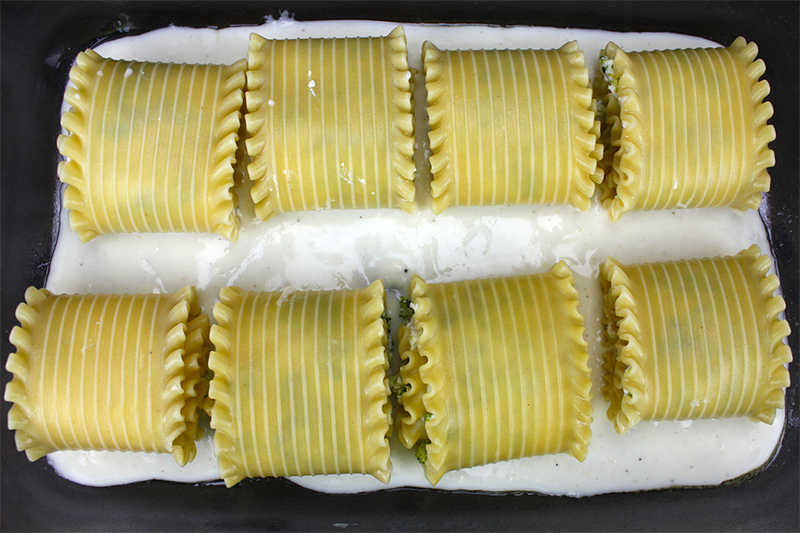 Gently roll up the lasagna noodles and place them in the pan on top of the sauce. 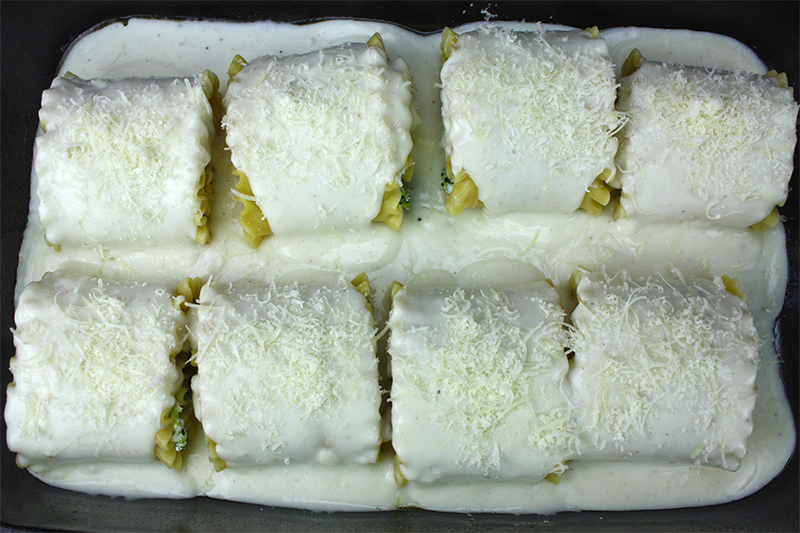 Pour the remaining alfredo sauce over the roll-ups, sprinkle with additional parmesan and bake until bubbly and golden brown. Allow to rest about 10 minutes and serve. 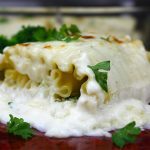 Broccoli Alfredo Lasagna Roll-ups - Easy, meatless perfect weeknight meal. Creamy and loaded with flavor. Preheat oven to 350 degrees F. Grease a 9x13 casserole dish and set aside. Boil lasagna noodles according to instructions on the box. Melt butter in a large skillet over medium heat. Add garlic and saute until garlic is fragrant about 30 seconds. Whisk the flour into the butter and garlic and cook until for about 2 minutes. 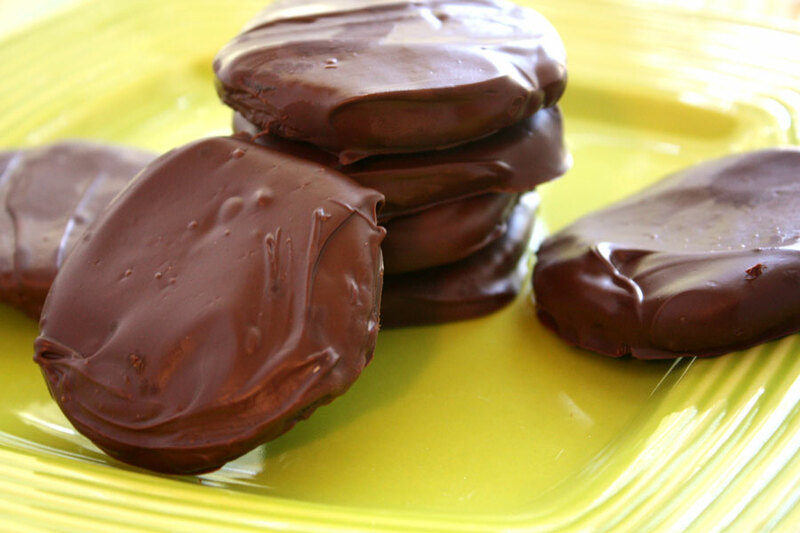 Gradually pour in milk, whisking constantly. Bring mixture to a simmer then stir in 3/4 cup parmesan. Let simmer until the sauce thickens, about 2 to 3 minutes. Add nutmeg and season to taste with salt and pepper. Spoon a thin layer of sauce onto the bottom of the baking dish. Combine ricotta cheese, Italian seasoning, broccoli, salt and pepper. 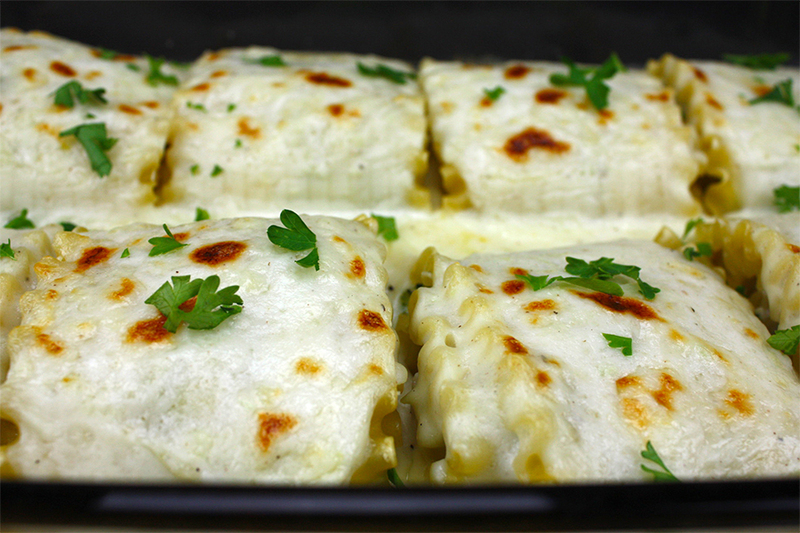 Lay cooked noodles in a single layer on a cutting board or baking sheet. 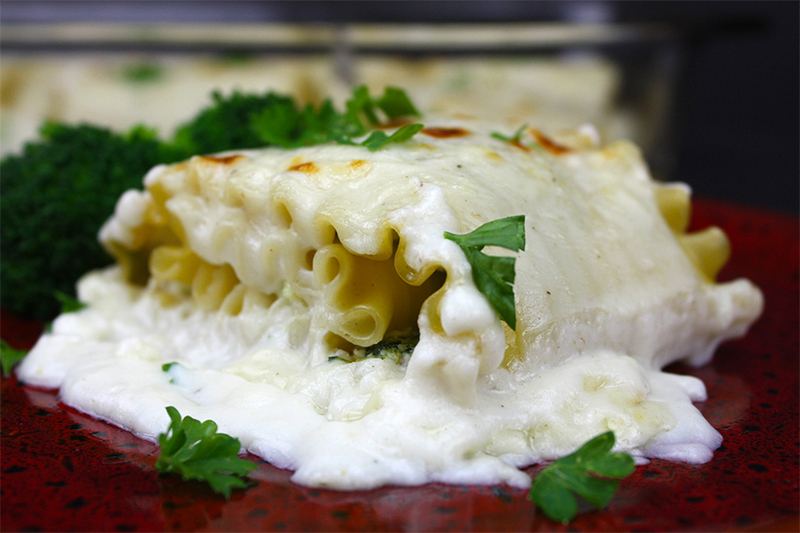 Spread about 2 tablespoons of alfredo sauce over each noodle, then spread 2 tablespoons of the broccoli ricotta mixture over the sauce, gently roll up the lasagna noodles. Lay the roll-ups in the baking dish seam-side-down. Spoon remaining sauce on top of the roll-ups. 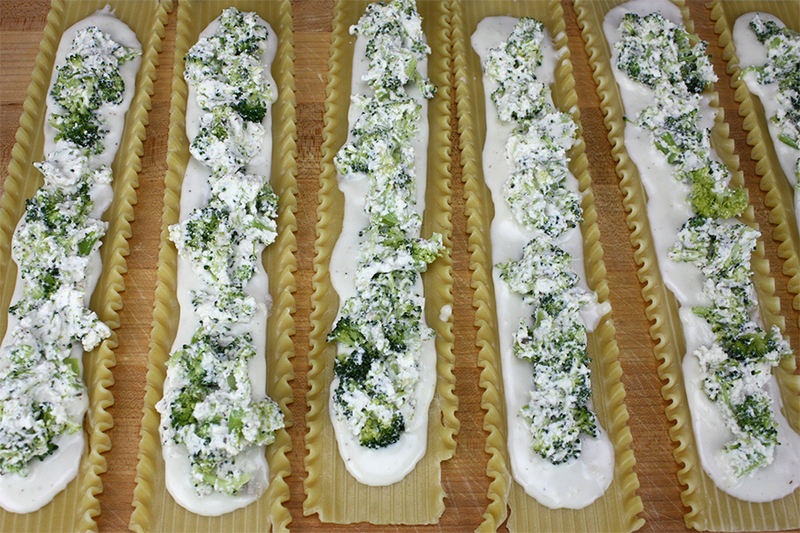 Sprinkle remaining 1/4 cup parmesan over roll-ups. Bake for 20-30 minutes, until the sauce, is bubbling and it's beginning to turn golden brown. Allow to rest about 10 minutes, and serve warm. I steam the broccoli in the microwave for about 2 1/2 to 3 minutes. Looks delicious! Love that they are meatless too. Scheduled to share on the Hearth and Soul Facebook page later today and pinned too! This looks amazing. I love everybit(e) of it! 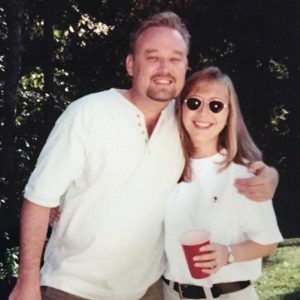 Thank you for sharing at What’d You Do This Weekend.